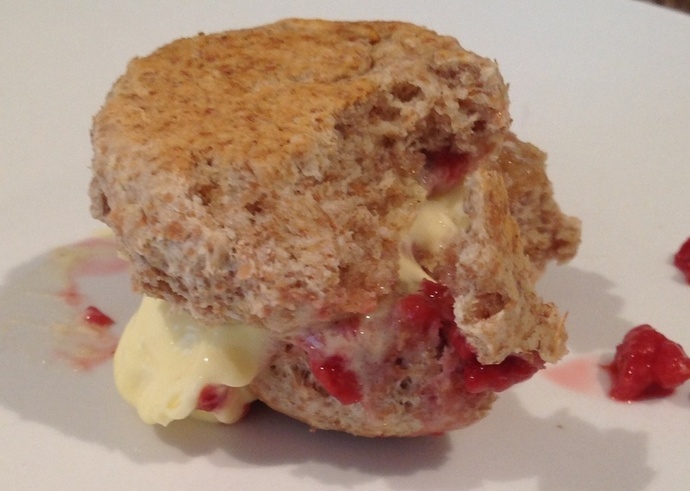 Scones are the quintessential British afternoon treat. The added buttermilk in these ones makes them light and fluffy, while the wholemeal flour and sweetener make them more healthy. Try them with cream and jam, and perhaps a few cucumber sandwiches to start. And, of course, a pot of tea is a must. Preheat the oven to 220 degrees Celsius and select a large baking sheet. Line with parchment paper if required. Put the flour into a large bowl along with the bicarbonate of soda, the cream of tartar, and the sugar. Drop the butter and vegetable shortening into the bowl with the dry ingredients. Rub the fats into the flour, and then pour in all of the buttermilk. Stir everything together to form a dough, working it with your hands. 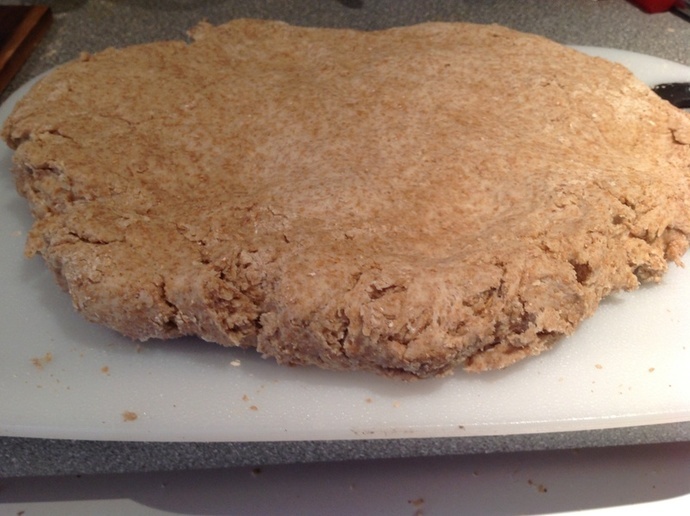 Lightly flour a clean work surface, and then lay out the dough into a long oblong shape. 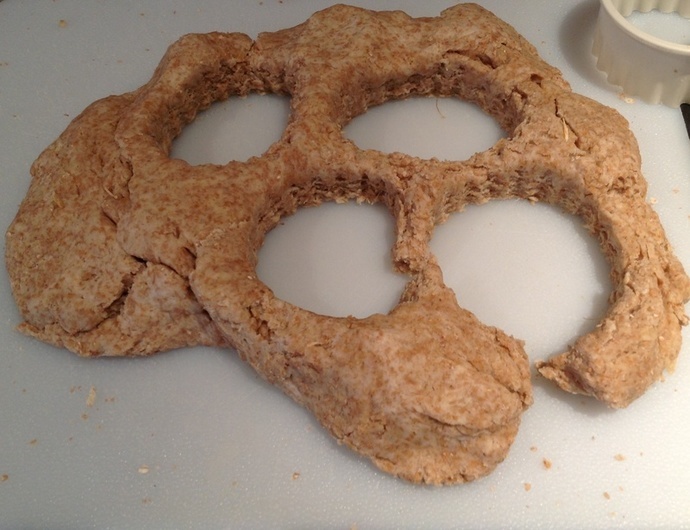 Press the dough out until it is about 4cm think, and then cut out 6cm scones with a fluted cutter. 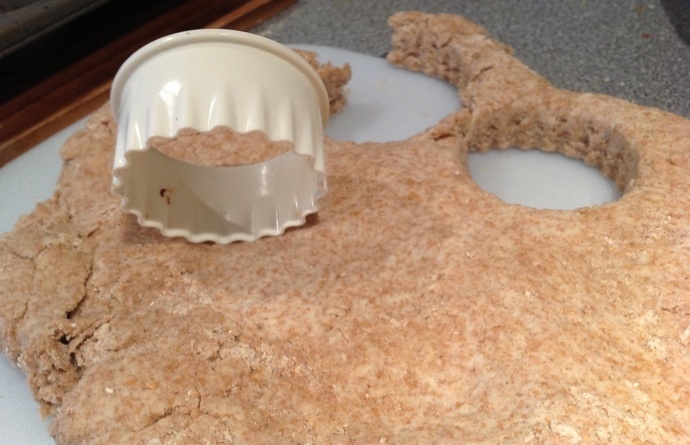 Recombine the scraps and repeat the process, always making sure that the dough is the same 4cm thick. 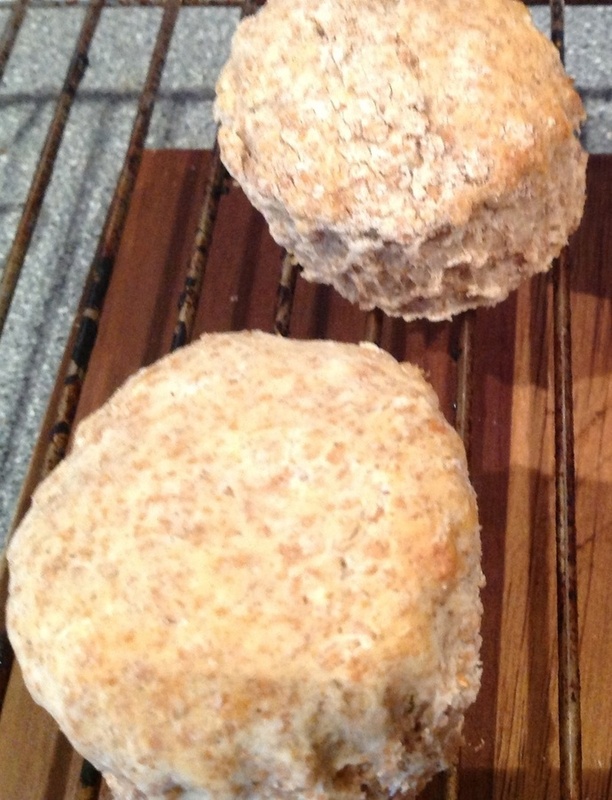 The last scone might be a bit irregular, but that's okay! 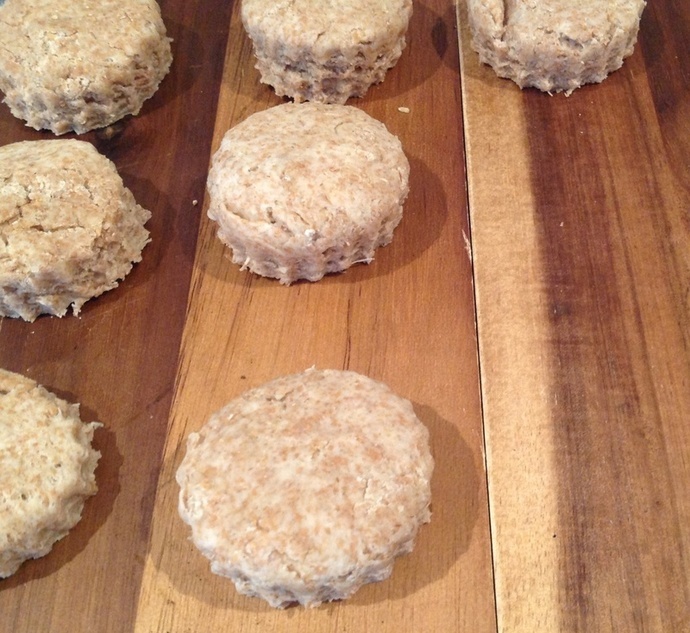 Lay out the scones on the baking tray and brush the tops with egg (if using). Bake for about 12 minutes until the bottoms are dry and the tops golden. Take them out of the oven and put them on a rack to cool. Serve with cream and seasonal jam.